The brainchild behind this particular project is midwife Elinor Jenkins. 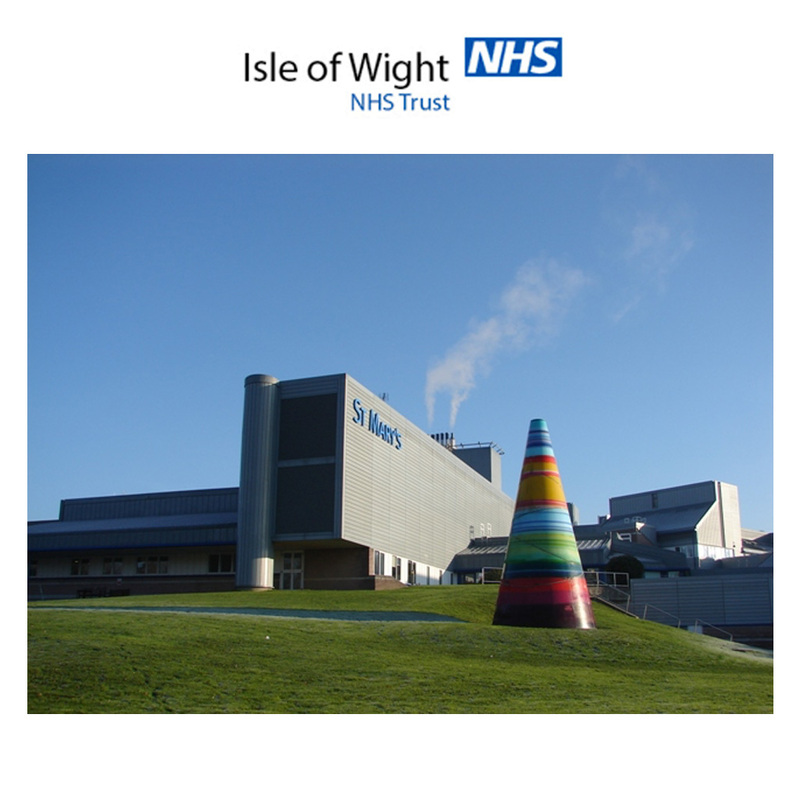 Ellie has been a midwife for 17 years and is currently based at St Mary’s Hospital on the Isle of White. During the course of Ellie’s career and when she began a new midwifery job, the training included how to suture labial trauma that had occurred during childbirth. The training involved how to suture varying types of tears to the labia or in the surrounding tissue. Tears that can occur naturally during childbirth and are treated after childbirth by either a midwife or a surgeon. It was during a training exercise for the suture of the labial tears that Ellie wanted to learn more about the anatomy of the tears and the best way in which they could be sutured to give the woman the best chance of recovery. As Ellie was studying for a doctorate at the time she was keen to see what research evidence there was but was very surprised to find that there was minimal evidence for this type of suturing. This gave Elinor the idea that medical illustrations of the anatomy as opposed to a photograph, would be the best method for recording the tears. The idea to photograph labial tears would also not seem appropriate especially just after a woman had given birth as it it such a personal time when a mother wants to recover and spend immediate time with their newborn infant. Also one of the key reasons to use illustrations is that an area of focus can be created just on the necessary anatomy, clearing away blood and excess from the picture and making it clear as to what the image is depicting. 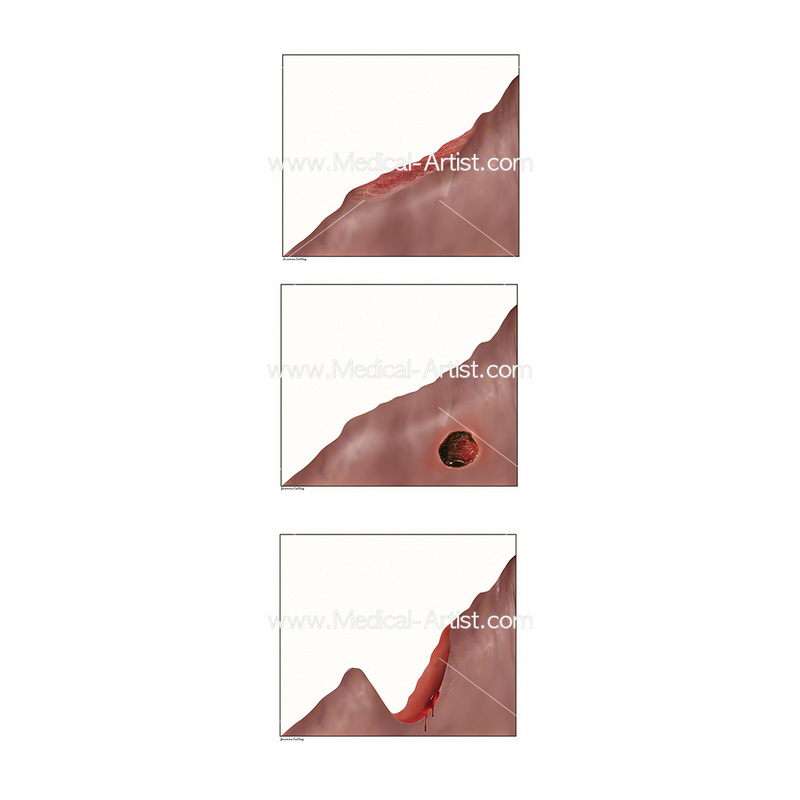 Ellie came to Jo at Medical-Artist.com because of Jo’s previous experience illustrating female reproductive anatomy. A number of medical illustrations were commissioned and the brief was to create illustrations that would describe each of the twelve tears. Their purpose would be to be used for future teaching for midwives and surgeons on the best way to treat a tear, as some were deep, some grazes and their suturing or treatment needed to vary between each tear. If the type of tear became more recognisable it would be possible to develop a standard method of treatment. This would avoid the situation of a tear being sutured unnecessarily that could potentially delay healing or cause scar tissue. The end result would formulate a process of suturing that was dependant on the depth of the tear to determine how each would be sutured. Ellie’s goal to use the illustrations as part of her ongoing studies and to use an educational aids to improve the techniques for suturing birthing tears for future midwives and surgeons.